To my knowledge those are different species, or am I wrong? On the left is annitha and on the right, there is smithi. They are both females aproximately 2 years old. Yes B annitha and B smithi are different species (unless somone proves they are not). You should be able to tell them appart from each other when they get more colouration. I do tell them apart, the one on the left side is annitha, right one is smithi. What are the main diferences between annitha and smithi? BTW, your spiders look overfed to me � that doesn't look natural and healthy to me. TESMOINGT, M., F. CL�TON & J.-M. VERDEZ (1997a): Description de Brachypelma annitha n. sp. et de Brachypelma hamorii n. sp. 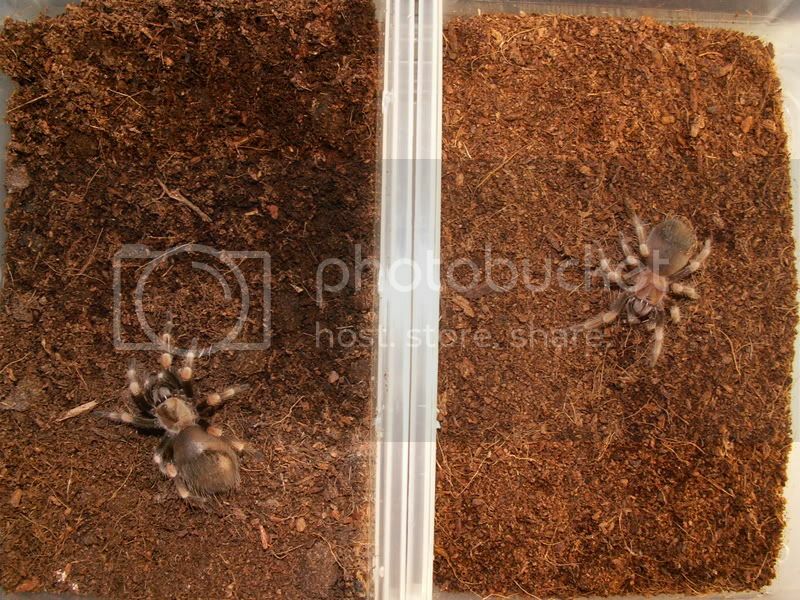 m�les et femelles, nouvelles esp�ces proches de Brachypelma smithi (Cambridge, 1897) du Mexique. Etude et relations taxonomiques des deux esp�ces et comparaison avec Brachypelma auratum (Schmidt, 1992), B. boehmi (Schmidt & Klaas, 1993), B. emilia (White, 1856), (Araneae, Theraphosidae, Theraphosinae). 2�me partie. Arachnides 33: 2-10. 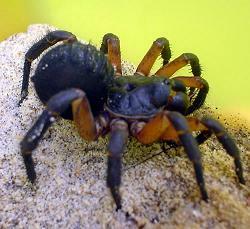 TESMOINGT, M., F. CL�TON & J.-M. VERDEZ (1997b): Description de Brachypelma annitha n. sp. et de Brachypelma hamorii n. sp. 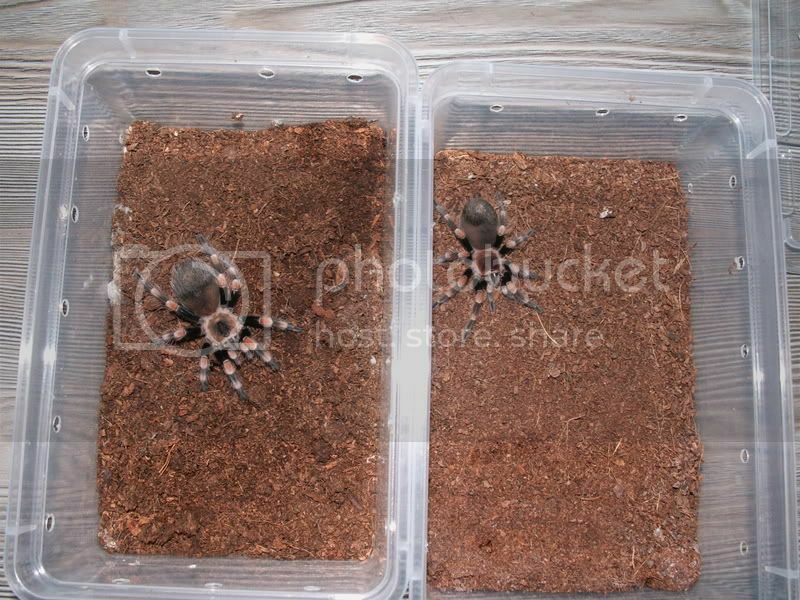 m�les et femelles, nouvelles esp�ces proches de Brachypelma smithi (Cambridge, 1897) du Mexique. Etude et relations taxonomiques des deux esp�ces et comparaison avec Brachypelma auratum (Schmidt, 1992), B. boehmi (Schmidt & Klaas, 1993), B. emilia (White, 1856), (Araneae, Theraphosidae, Theraphosinae). 1�re partie. Arachnides 32(1er trimestre): 8-20. Someone who can send these documents ?..